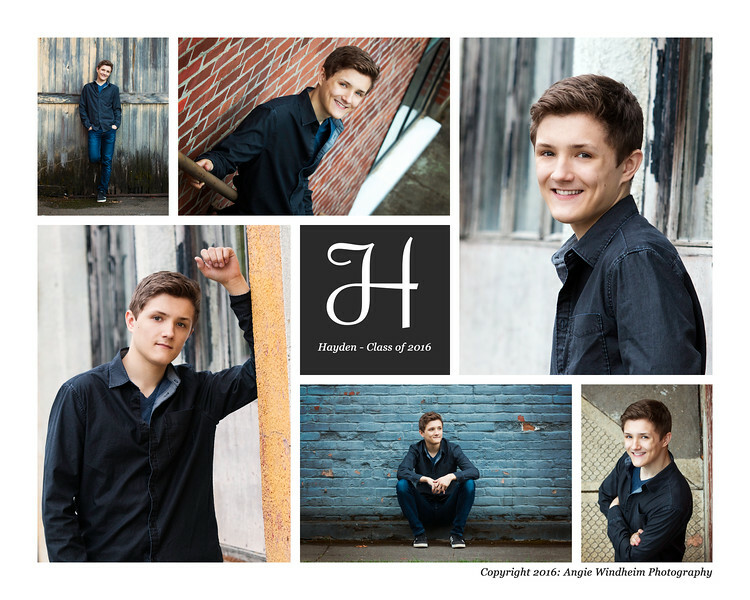 I’m always so excited when clients pick urban for the their Senior photos. The textures and colors are amazing. And, I feel like a bit of a bubbly tour guide for my clients showing off the hidden gems around each corner. You really see that “same old town” with new eyes when you are taking portraits. There is one itty bitty negative. I’m usually starving after a session in the city after smelling all of the great restaurant food steaming through the back alleys. Hayden was a super fun Senior to work with. So relaxed and totally engaged in his photo session. It was pretty neat to meet and get to know him at the start of such a big year…I don’t think I’d seen him since he went to preschool with my oldest son. Yikes! Hayden’s a smart and thoughtful one, and it will be fun to track the fabulous things he’s sure to accomplish in the years to come. Got any super cool, beat up blocks for me to check out? Leave a comment…I’m always looking for fun buildings for photos.